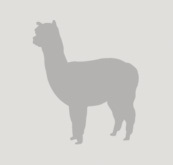 UPDATE::: Destined first cria hits the ground- and we are very impressed. 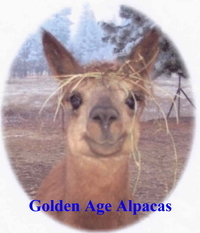 This little guy has a beautiful head with impressive fleece characteristics at birth. And has thrown brown out of a light fawn dam!!! Check back for pictures! Can you say maroon? This guy is an incredible example of maroon and with black points to boot. And check out his head, his fleece is so full you can barely tell he has eyes. 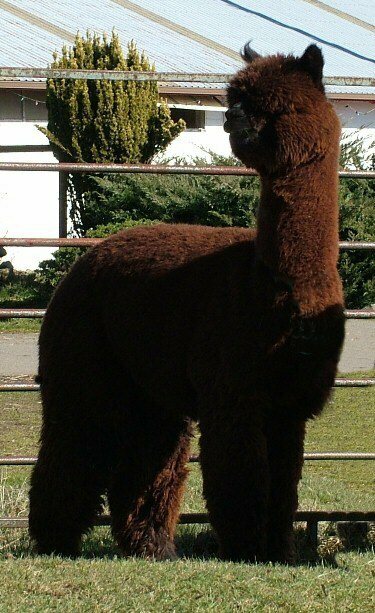 His fleece is just beautiful, with density, crimp and fineness hard to find in such a dark animal we are thrilled to add his genetics to our lineup. He has incredible coverage with consistent high frequency crimp from his head to his tail and even down his legs. Conformation, fiber, bite, and personality; this guy has them all and is just waiting to pass his show quality genetics on. We love the history of color in this guy's past, he brings black, grey and dark brown to the table with the fiber quality of white. (Take a look at his fiber analysis at 2 years) He has great bone, and carries himself proudly. News Flash: Wooly Booly as we like to call him places 1st in a very competitive medium brown yearling class at PAOBA 2005. Judge Jude Anderson couldn't say enough about this impressive boy. She loved his great bone, flawless conformation and full fleeced typey head! 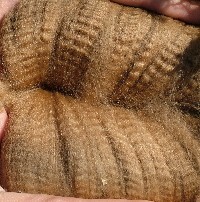 She stated that he was by far the finest boy in the class with tight high frequency crimp that gives his fleece an amazing handle. She stated that he is a very well put together male exhibiting all the characteristics important for a herdsire. What more could you ask for---especially in this lovely shade of MAROON!!! This is a precious girl who is easy to handle and a real joy to be around. 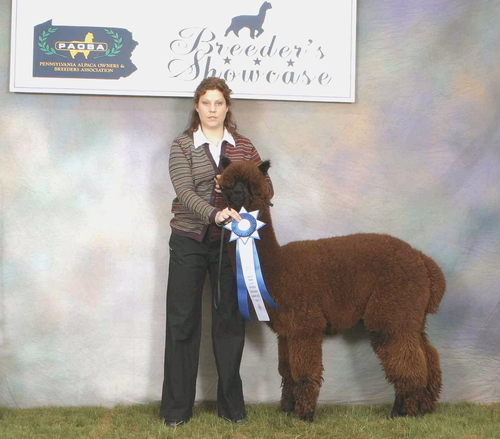 Her sire is our blue ribbon winning maroon herdsire, Destined and her mom is one of our no hassle producers, Audrey. Since her dam and sire have consistently produced ribbon winning cria, we are confident Lacy will follow in their footsteps and do the same for you. Cloverleaf’s Lacey has placed consistently in competitive white classes and we all know how tough they are! 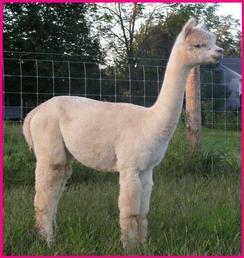 This is a great price for a solid foundation female, she could be yours and produce ribbon winners of her own for you! She comes with 2 free breedings to any non restricted Cloverleaf herdsires, including the up and coming ones!